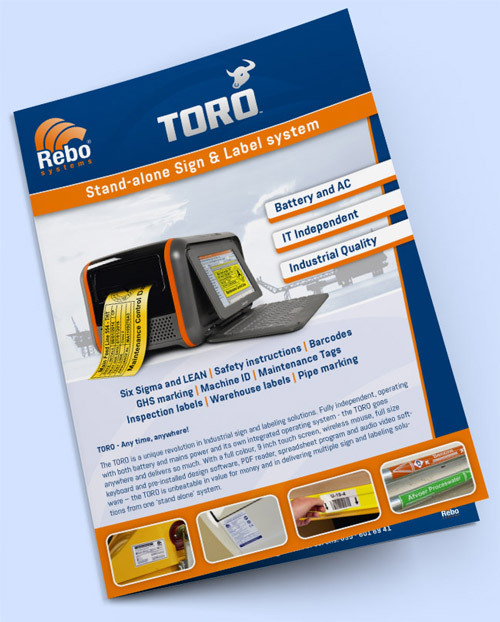 The TORO portable label printer is a unique revolution in Industrial sign and labeling solutions. 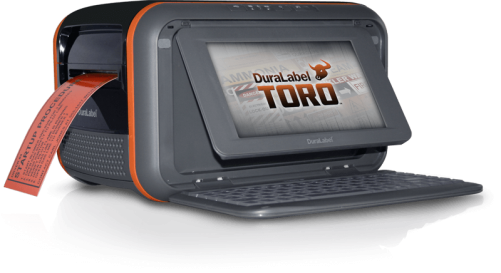 Fully independent, operating with both battery and mains power and its own integrated operating system – the TORO portable label printer goes anywhere and delivers so much. 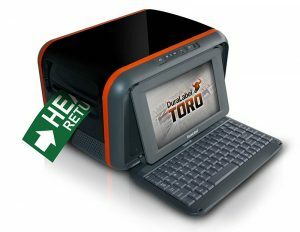 With a full colour, 9 inch touch screen, wireless mouse, full size keyboard and pre-installed design software, PDF reader, spreadsheet program and audio video software – the TORO is unbeatable in value for money and in delivering multiple sign and labeling solutions from one ‘stand alone’ system. 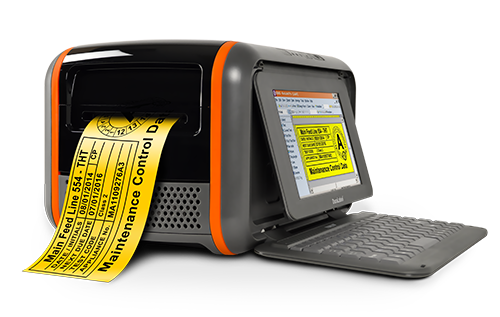 The Toro is an all-in-one portable label printer, with a full-size flip down keyboard, an adjustable touch screen, custom software and durable, reliable thermal transfer print technology. 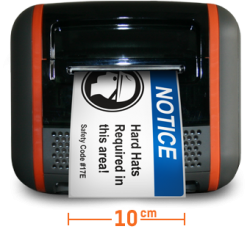 Just load your supply, design your label or sign and print in high quality and colour from 0.5″ (13mm) to 3.9″ (100mm) wide. 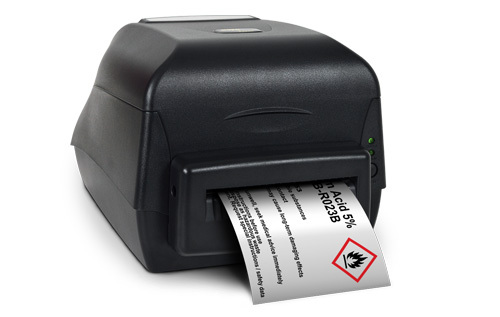 Toro is the industry’s first truly standalone high-quality thermal transfer label printer. With its optional lithium-ion battery, you can print continuously for three hours without a power cord or a computer in sight—at the far end of the warehouse, out on the ranch or wherever your truck can take you. This portable label printer is easy to get started with right out of the box, thanks to its simple, user-friendly design. 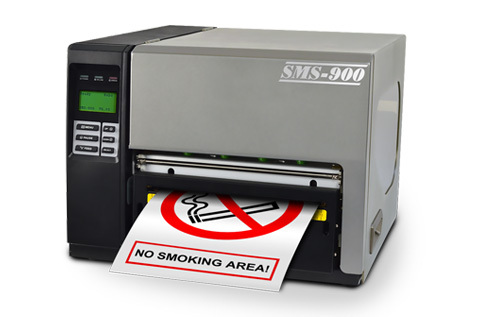 Not only does TORO come with its own touch screen and stylus, but also software designed to make any sign or label you need with a minimum of fuss. Polyester (PT700) – High tack adhesive, high temperature, low halide – ideal for machine plates and pipe marking. Tags (T100) – Non-adhesive, untearable tags. Available in continuous and die-cut materials. 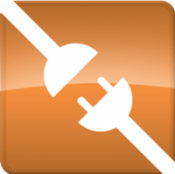 Wire-Wraps (WI100) – Self laminating, wrap around cable and wire marking. Metal Detectable Tape – Locatable by a metal detector, ideal for the food industry. 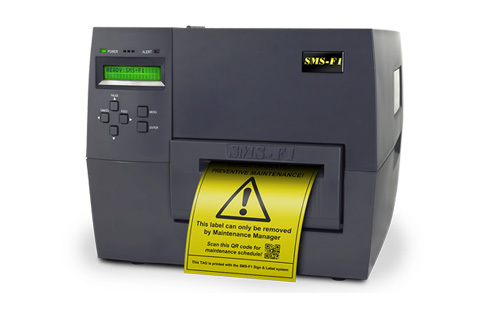 GHS Labels – Pre-printed GHS labels available in several sizes, with choice of max. 4 red diamonds. 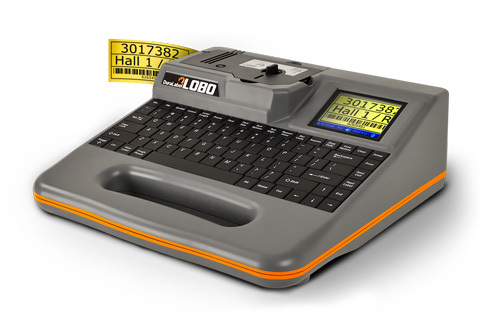 Watch the portable label printer in action!